When it comes to deciding on roofing material for your home, there are many benefits to choosing tile. Having said that, some homeowners have reservations about the cost. While tile is a bit on the pricey side, we think that the benefits more than make it worth it. If you are on the fence about the type of roof to put on your home we think this list of benefits of tile roofs might help you to decide. If you are going to invest in a roof you want it to last for a long time. Between 20 and 30 years is what you can reasonable expect to get out of a traditional asphalt shingle roof. A tile roof on the other hand can last as much as four times that, easily lasting over 80 years. Just think of the centuries old architecture in Europe that is covered in tile roofing. If you consider you home an investment, and you should, the a tile roof is a wise choice that will protect your home and family for decades to come. Barring any unforeseen extreme weather or natural disasters, chances are you won’t have to replace your tile roof in your lifetime. So now you are saying, “I get it, tile roofs last. But, why?” When you consider that tiles are made out of clay and concrete you start to realize that they really can stand up to just about anything. Not only are they rated Class A against fire, they can stand up to golf ball size hail, and wind in excess of 150 miles per hour. On top of that, when it comes to seismic load requirements tile roofs exceed all standards. So as long as you have a reputable roofing contractor install your tile roof, your home will be safe from roof damage. Lets face it, practical stats and all are nice, but one of the main benefits of a tile roof is just how stylish they are. Tiles are available in a wide variety of styles and colors, so you are almost assured to find one that suits your taste and adds significant curb appeal to your home. Whether you prefer more traditional, flat brown tile, or you opt for the Mediterranean flair of red Spanish barrel tiles; the choices are seemingly endless. We all know how high maintenance an asphalt shingle roof can be. A tile roof on the other hand rarely needs maintenance or repair of any kind. Since tiles are installed individually, even in the even that you roof gets damaged it is only a simple matter or swapping out a few tiles. With a tile roof you will rarely need repairs, and if you do they will be easy and relatively inexpensive. 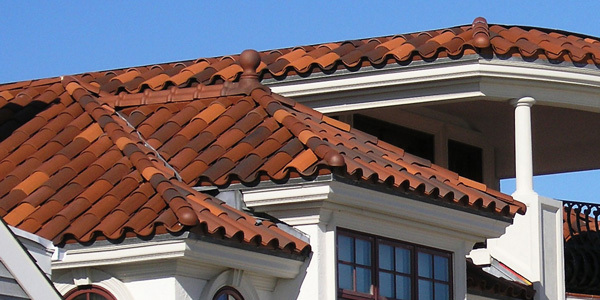 An added benefit of a tile roofs durability is that it rarely needs to be replaced. Because of this its impact on the environment is reduced significantly when compared to shingle roofs. You won’t see a lot of tile reroofing materials clogging up local landfills. Unlike asphalt, tile contains no chemicals and doesn’t deplete our natural resources. Finally, tile has the ability to lock in heat and allow for natural airflow which means better insulation for your home and lower heating and cooling bills. 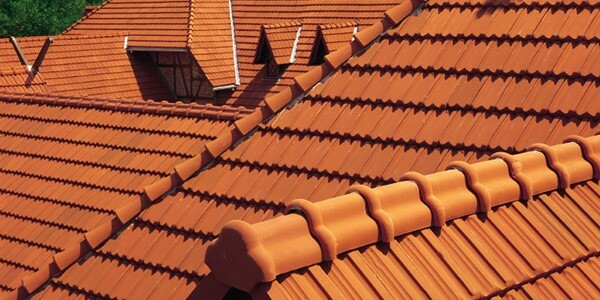 If you are considering a Tile Roof then you really should call your local tile roofing experts at Hart & Sons. We have been roofing New Jersey homes since 1920. Call (973) 761-7676 Today for a free consultation, and we’ll help you decide if a tile roof is right for your home.